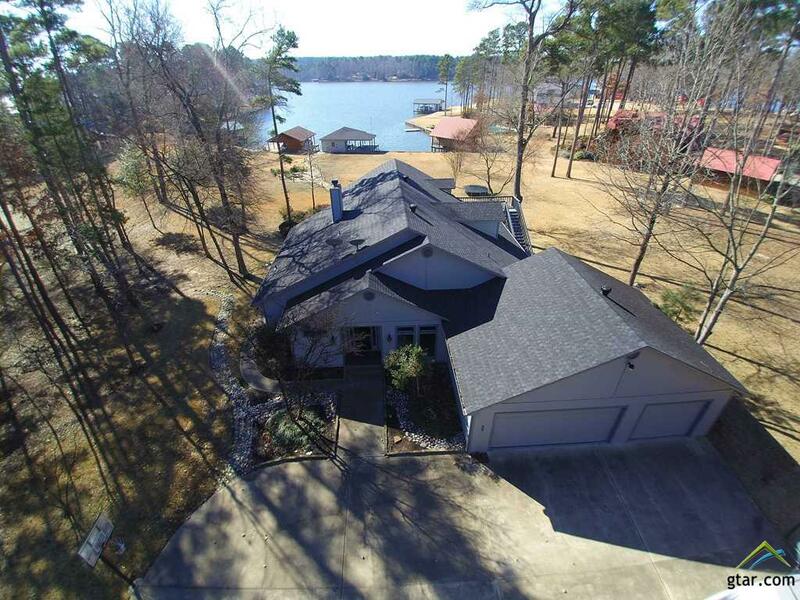 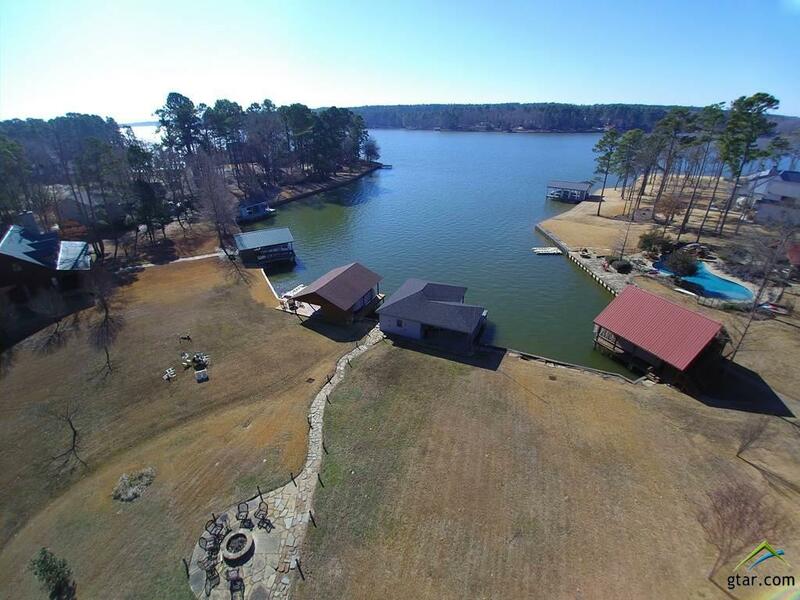 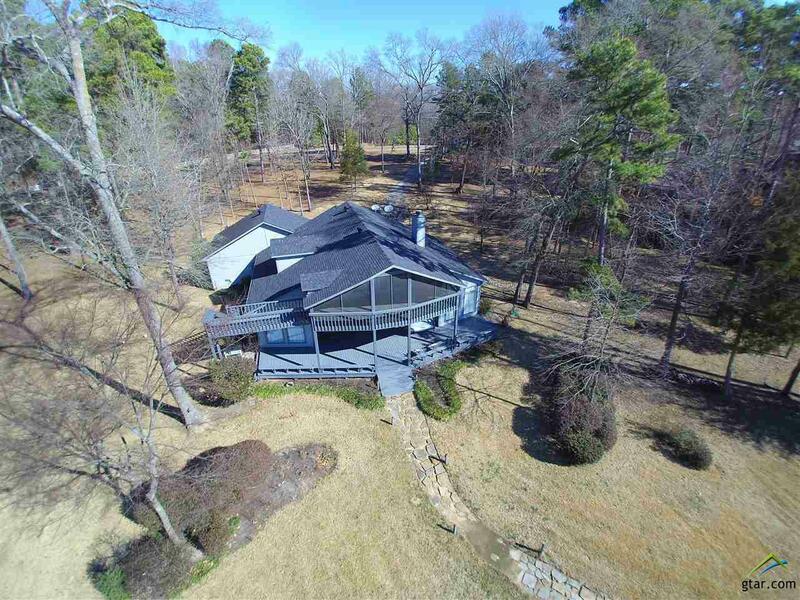 This beautifully updated cedar lake home sits on a gently-sloping, sprawling 2.06-acre lot, and offers tons of cool features for full-time or weekend living. 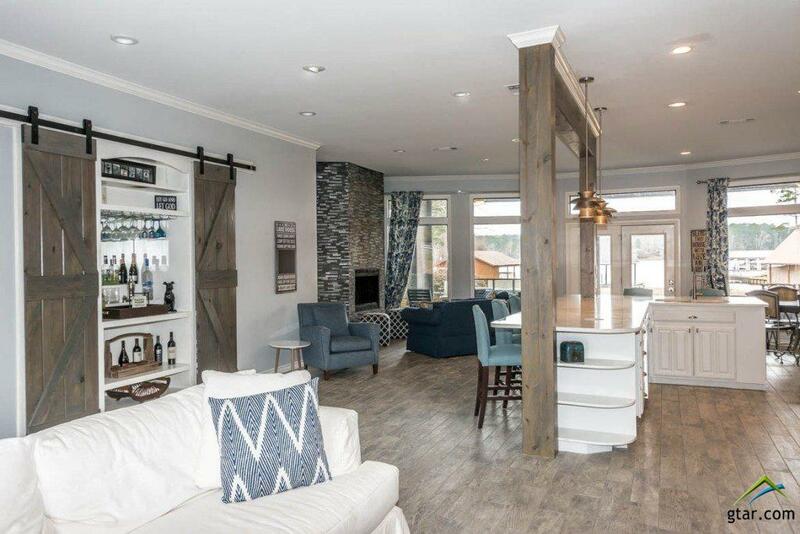 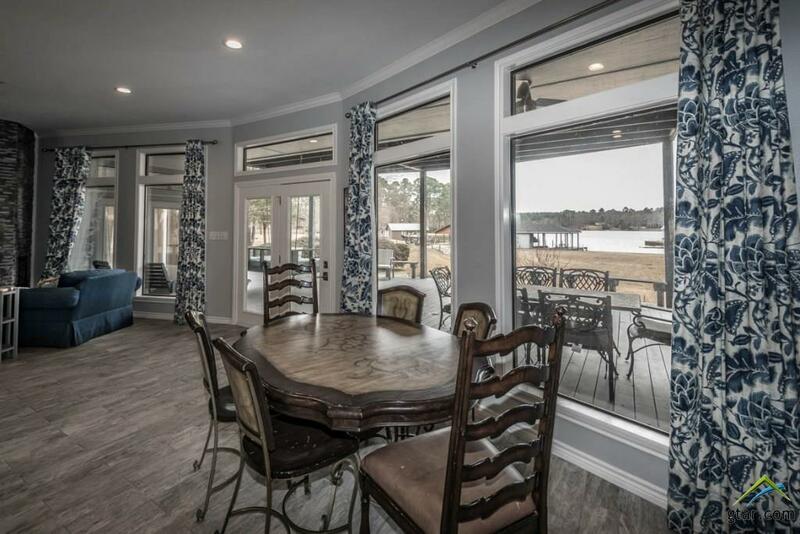 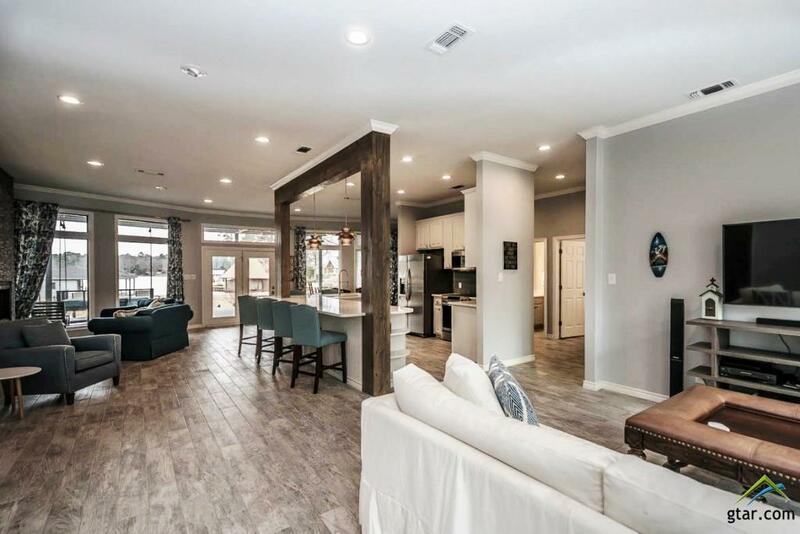 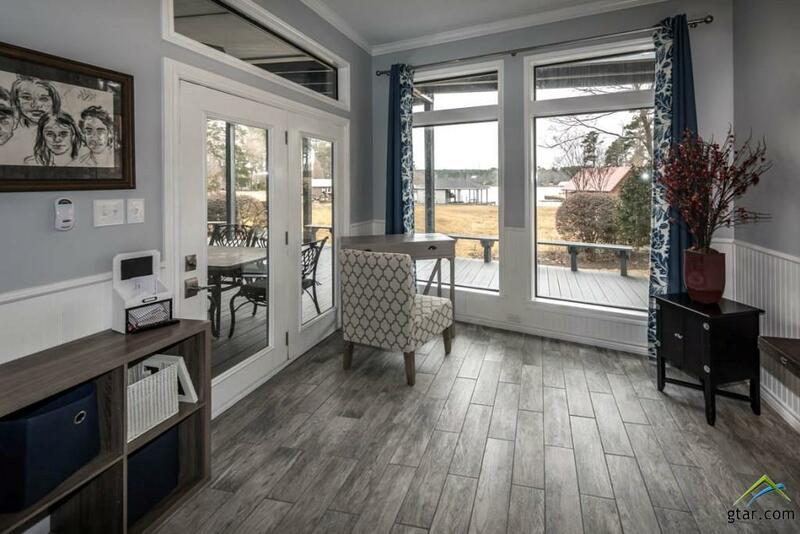 Flooring in the living area is a wood-grain ceramic tile, and the open concept allows lots of light and great lake views from just about anywhere in the home. 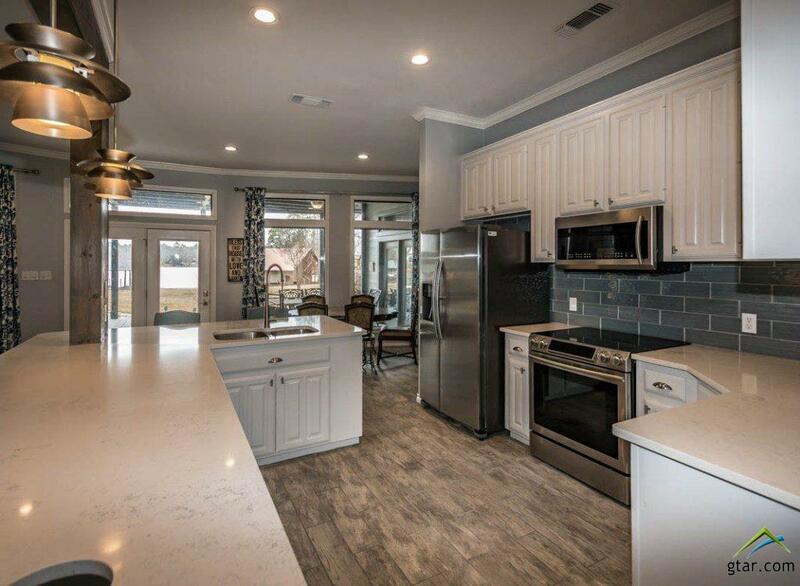 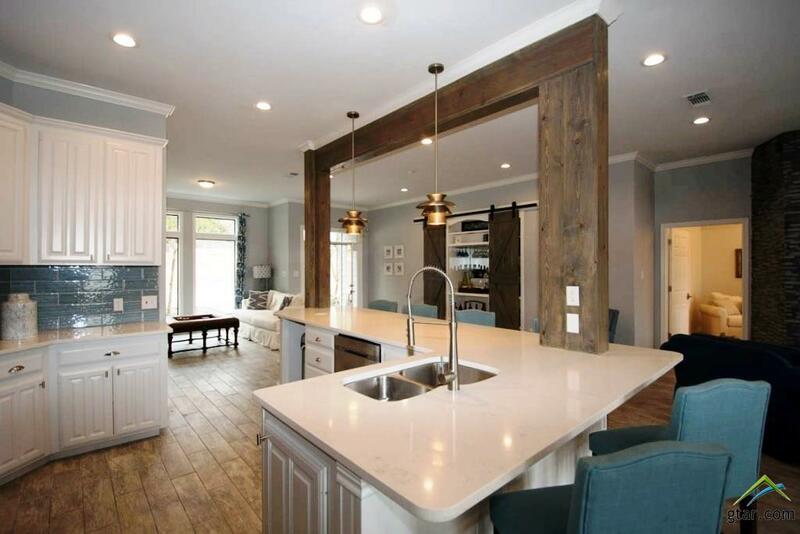 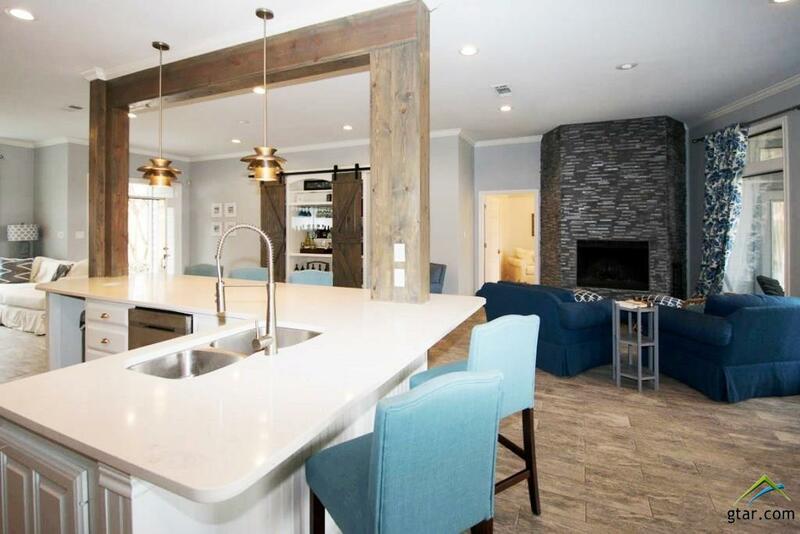 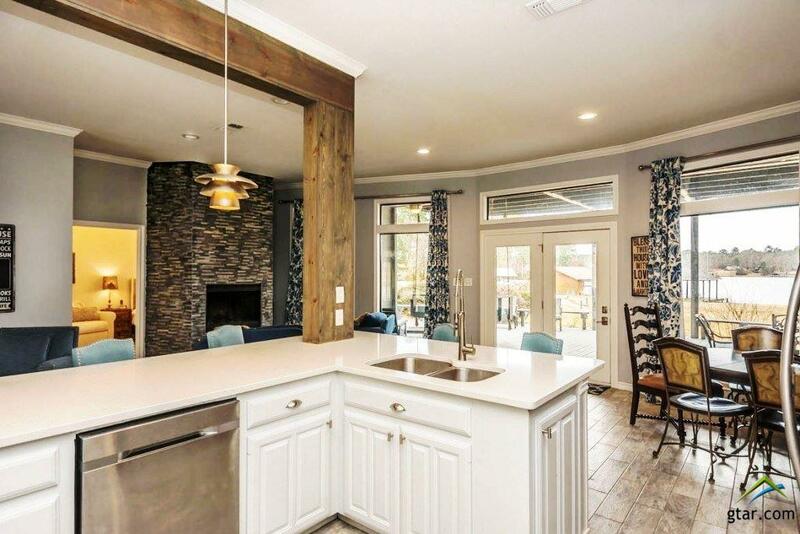 Kitchen features: quartz countertops, stainless appliances and a large bar area with pendant lighting. 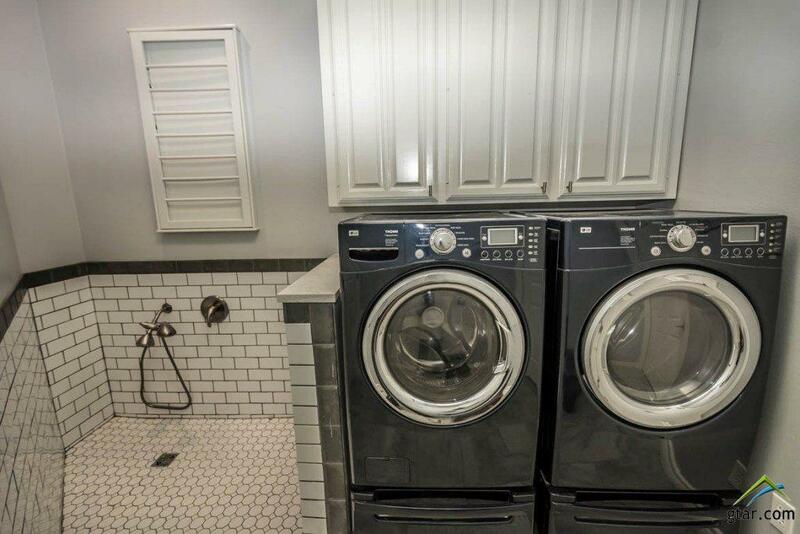 The utility room even includes a pet bathing area. 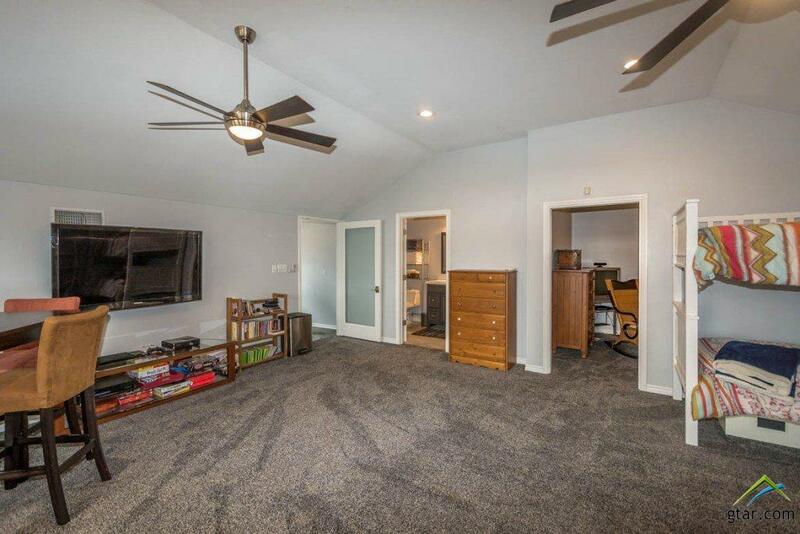 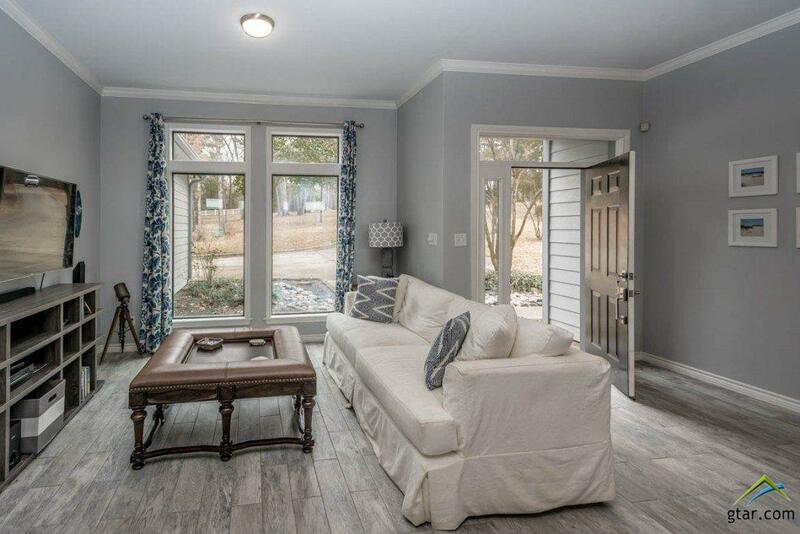 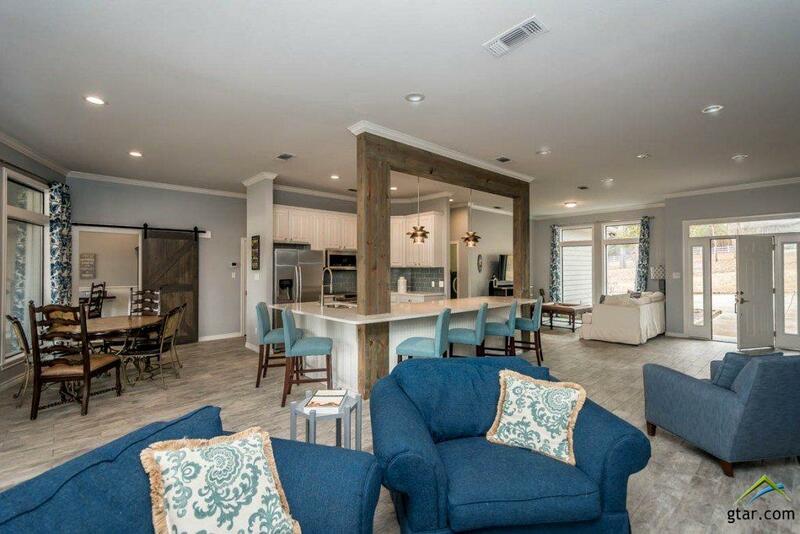 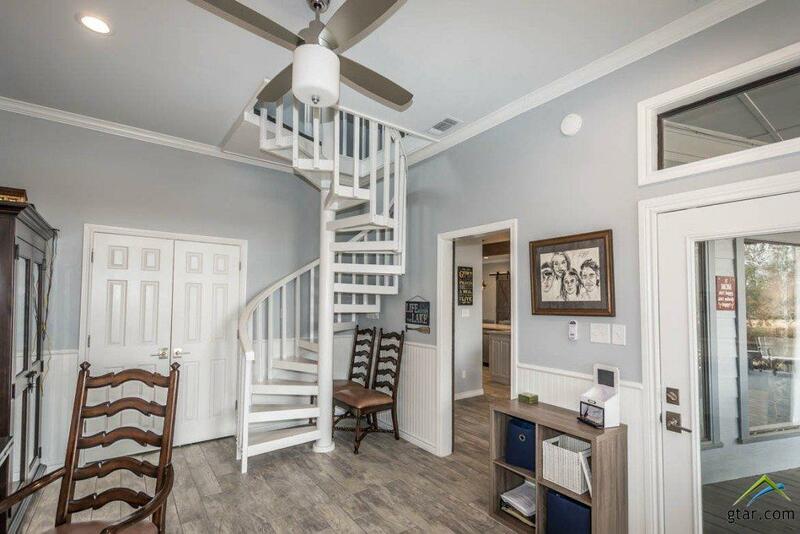 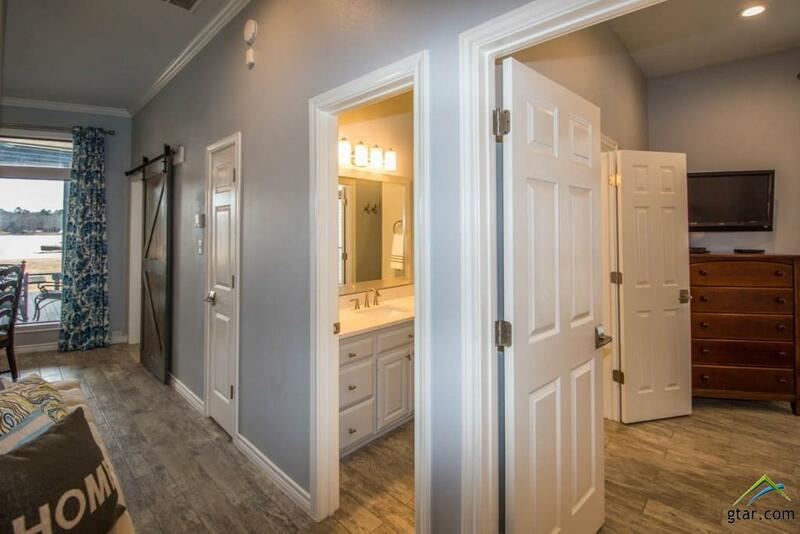 The home features split bedrooms with a hall bath accessible from the living area. 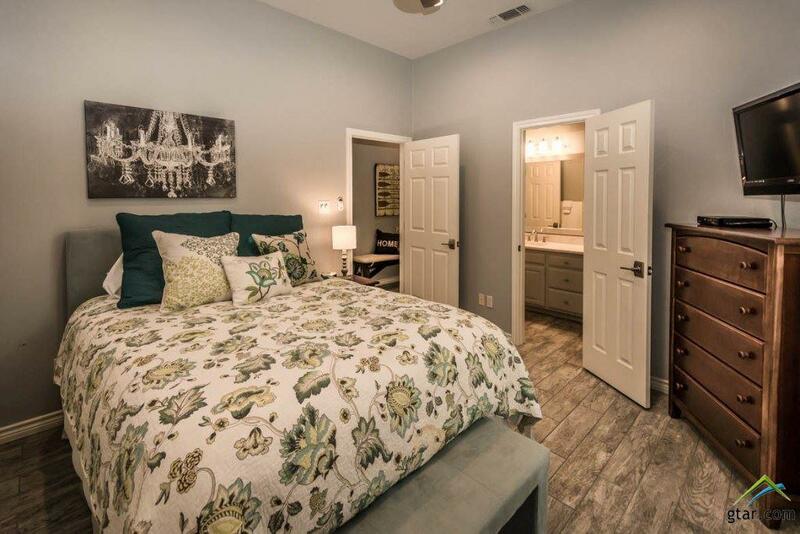 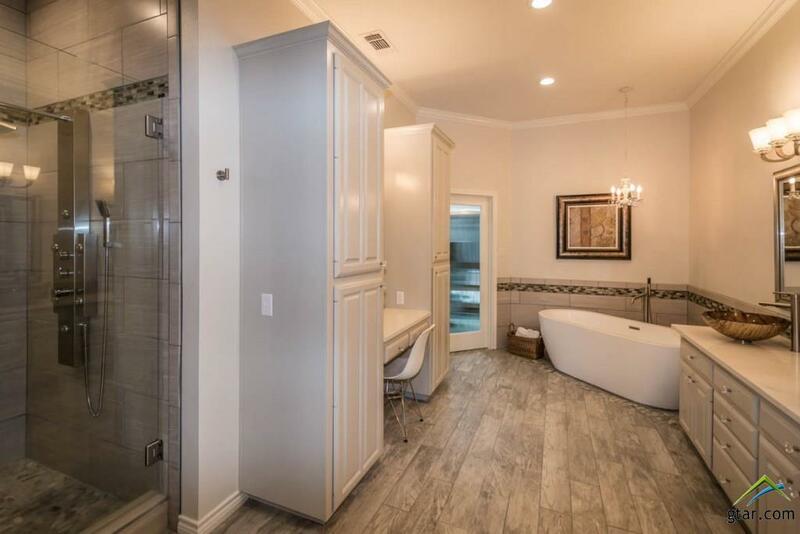 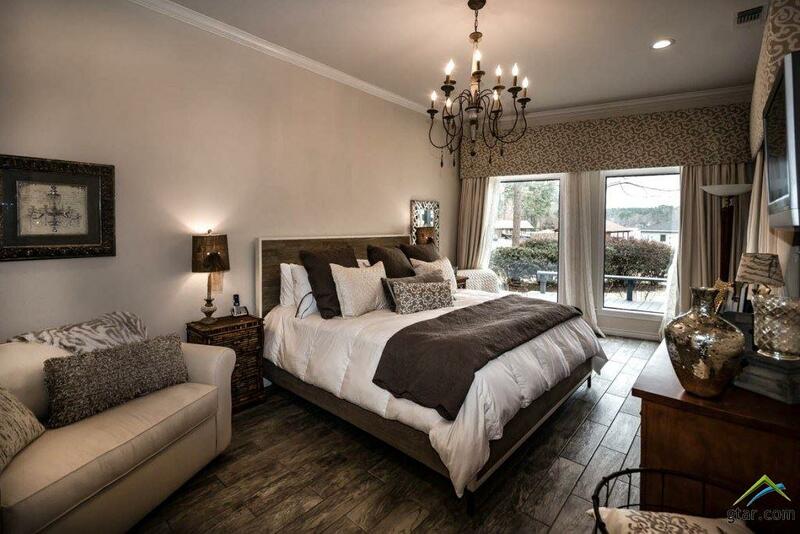 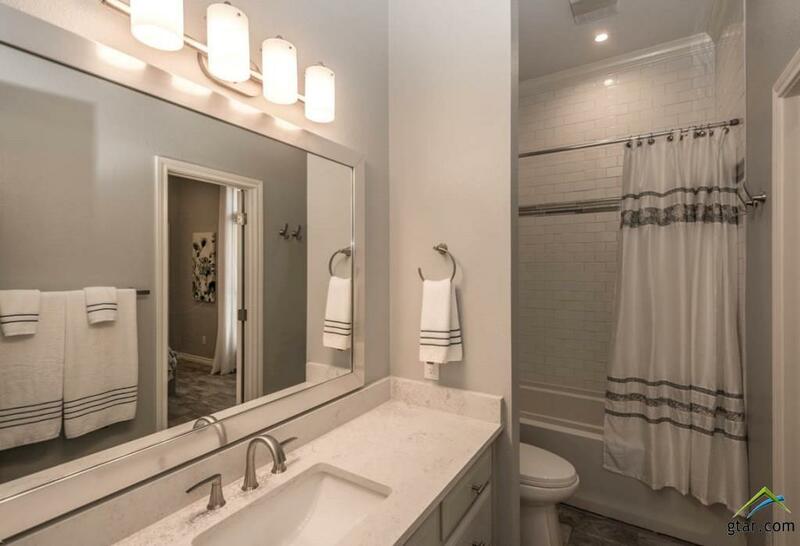 In the master suite, the bathroom has double vanities, separate shower & stand-alone tub & spacious walk-in closet. 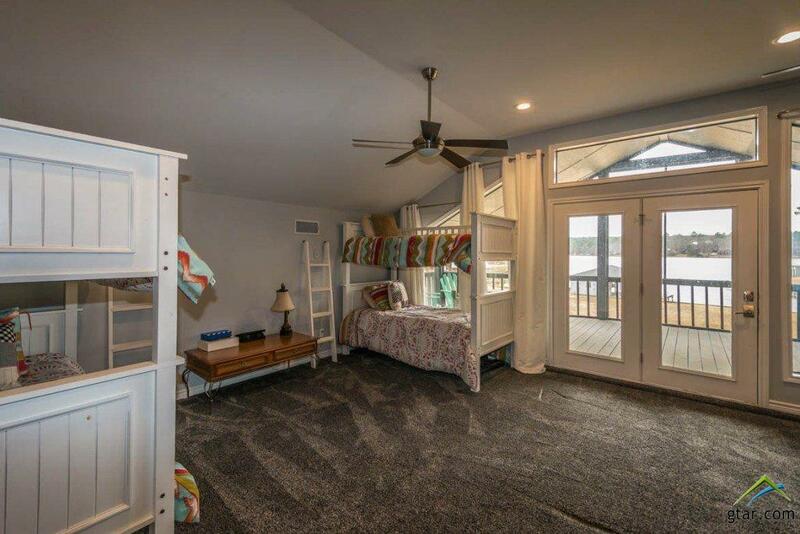 Upstairs is a bunk room, shower bath & large 2nd living area-game room. 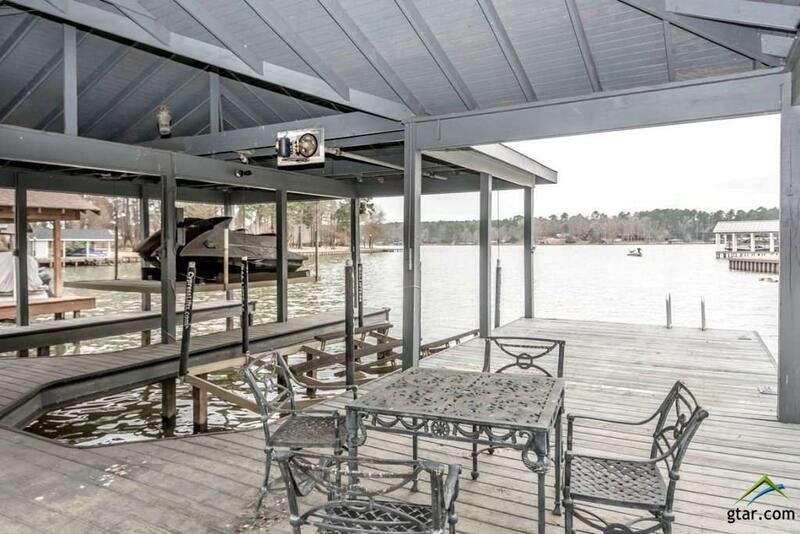 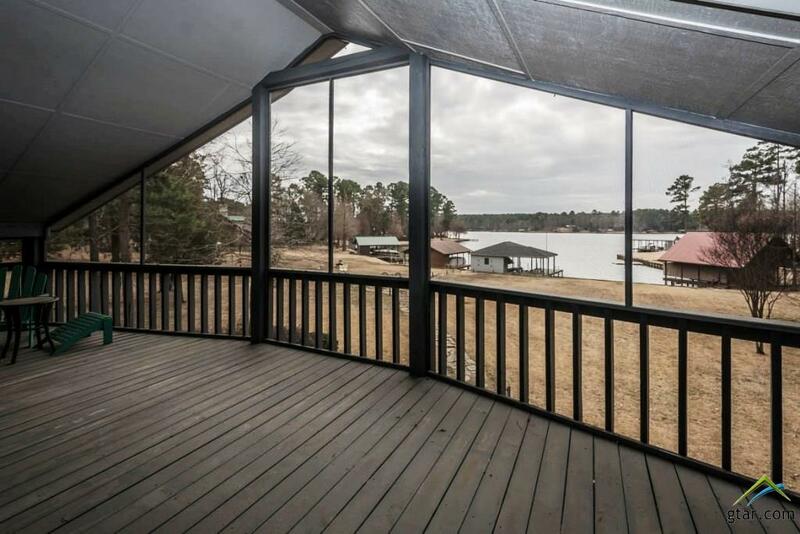 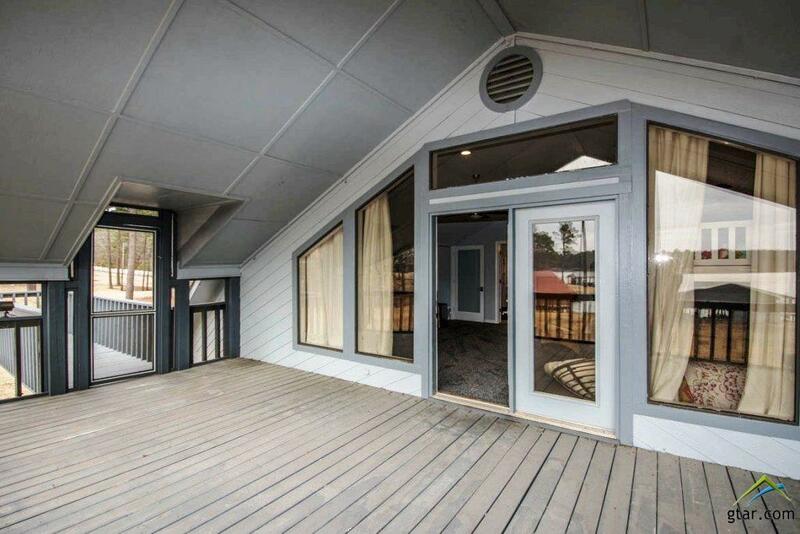 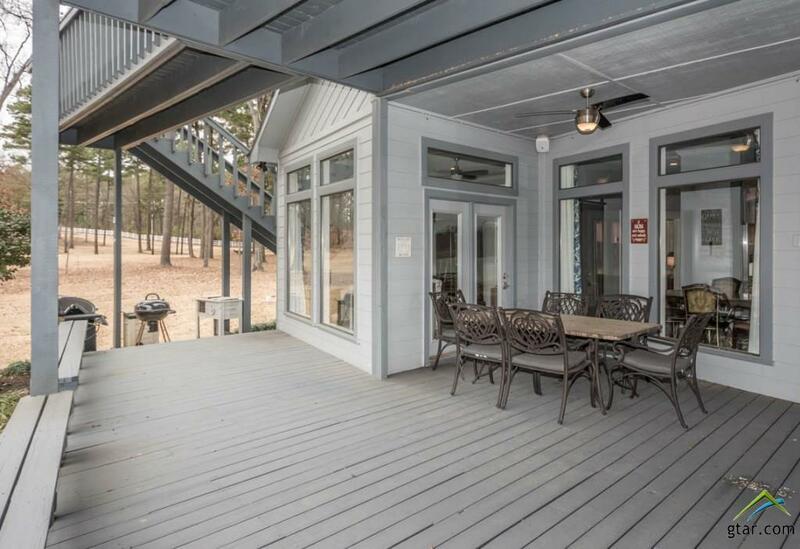 This area also has its own covered porch with a view out into the lake. 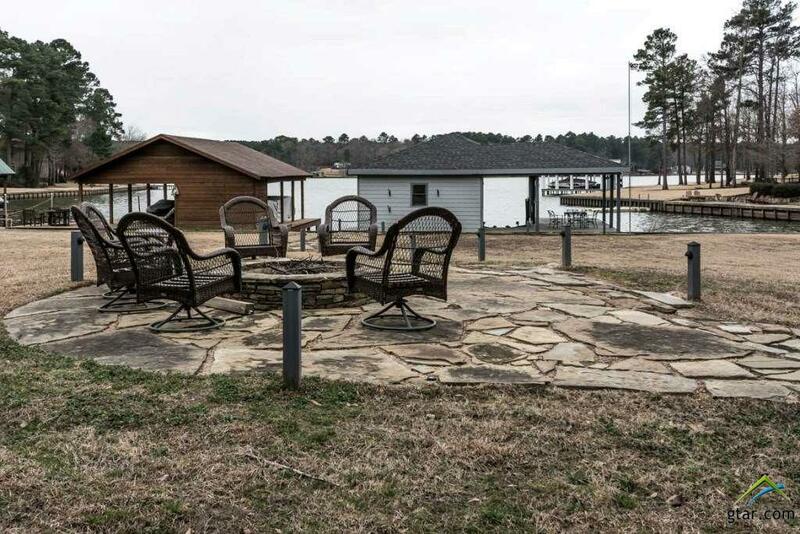 The spacious yard includes a stone firepit and flagstone walkway leading to the 2-stall boathouse. 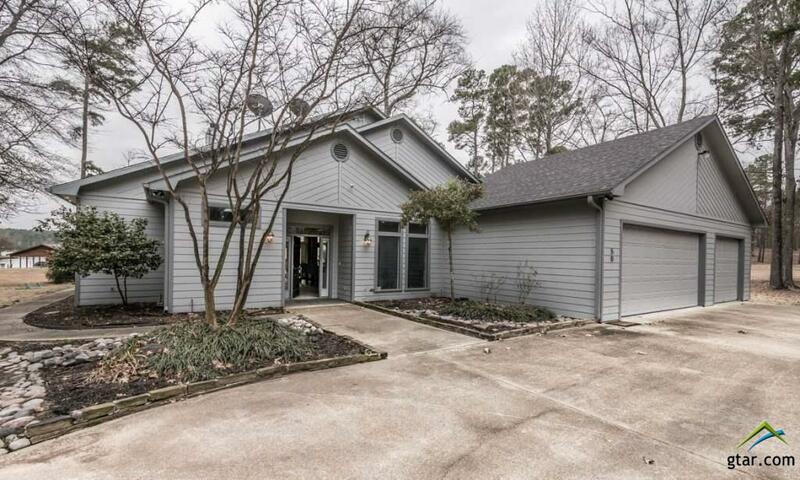 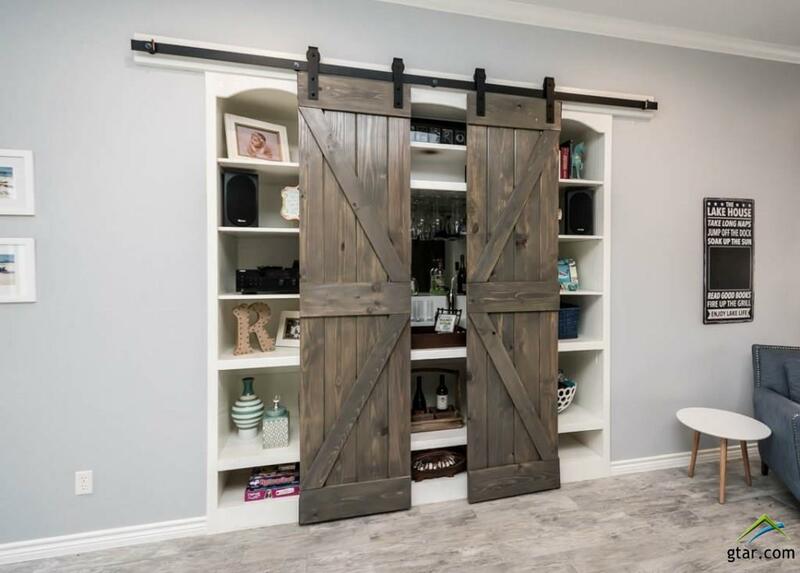 An attached 3-car garage offers protection for vehicles and lots of additional storage.